The Conservation of Arctic Flora and Fauna (CAFF) is one of the Arctic's leading organizations that provides the most recent scientific information and data to Arctic policy makers. CAFF was formed in 1991 after Canada, Denmark, Finland, Iceland, Norway, Sweden, the USSR and the United States adopted the Arctic Environmental Protection Strategy (AEPS), a multilaterial agreement among Arctic states to protect the Arctic environment. During the development of the AEPS, the eight Arctic countries confirmed that their shared ecosystem, with its unique flora and fauna, was fragile and threatened by a number of causes. They agreed to "cooperate for the conservation of Arctic flora and fauna, their diversity and their habitats" and, to that end, established the Program for the Conservation of Arctic Flora and Fauna (CAFF) as a "distinct forum for scientists, indigenous peoples and conservation managers ...to exchange data and information on issues such as shared species and habitats and to collaborate, as appropriate for more effective research, sustainable utilization and conservation". 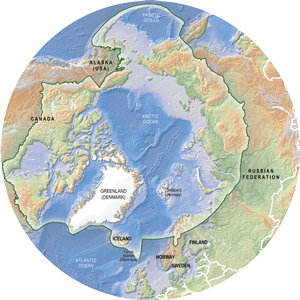 In 1996 the Ottawa Declaration formally established the Arctic Council as a high level intergovernmental forum to provide a means for promoting cooperation, coordination and interaction among the Arctic States, with the involvement of the Arctic Indigenous communities and other Arctic inhabitants on common Arctic issues. The Arctic Council now oversees and coordinates the programs established under the AEPS including CAFF, the Arctic Monitoring and Assessment Program (AMAP), the Protection of the Arctic Marine Environment (PAME) and the Emergency Prevention Prepardness and Response (EPPR) working groups. Over the subsequent two decades CAFF has become an important forum for the discussion and development of strategies, assessments, monitoring and recommendations that feed into the Arctic Council process to increase knowledge, address knowledge gaps and contribute to the knowledge necessary to inform policy.